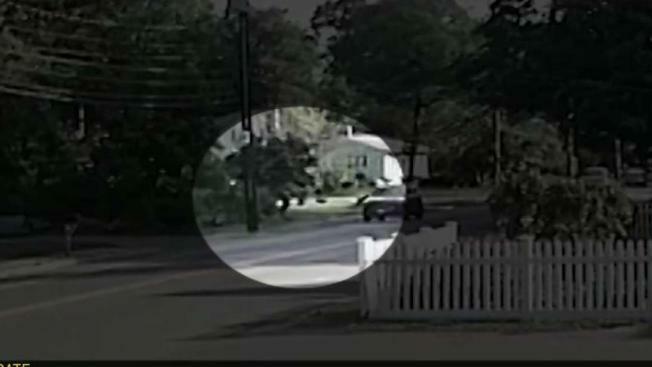 The man accused of sexually assaulting and trying to abduct a jogger in this shocking video from Bridgewater over the weekend, faced a judge Tuesday from his Boston Medical Center hospital bed. A Bridgewater man accused of sexually assaulting and trying to abduct a jogger over the weekend, in an attack captured by surveillance video, faced a judge Tuesday from his Boston Medical Center hospital bed. Gordon Lyons, 57, was allowed to hide his face behind a hospital bed sheet as he was arraigned on charges of kidnapping, indecent assault and battery. The 37-year-old woman was able to kick and scream and get away, as a neighbor scared the suspect off. But not before she got a photo of his distinctive orange Hyundai Sante Fe. Lyons was eventually arrested after crashing into another car on Route 24. Prosecutors say this is not the first time Lyons has faced charges of violently sexually assaulting someone. Lyons’ defense attorney says her client has already undergone a psychiatric evaluation. Lyons is being held without bail and will likely undergo further mental health evaluations once he’s released from the hospital. Bridgewater police are asking anyone with any information about this crime, or any other similar crimes involving Lyons to call them at 508-697-0914.